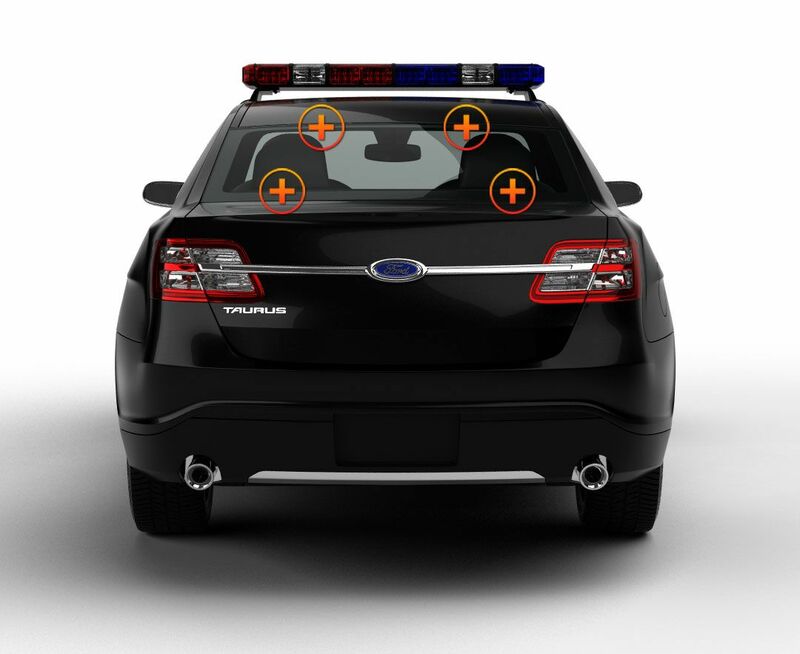 The Enforcer 4 comes with a unique bracket that has 2 new design features: the light can ‘slide’ up and down on it and the 4 powerful suction cups are positioned well to the side. 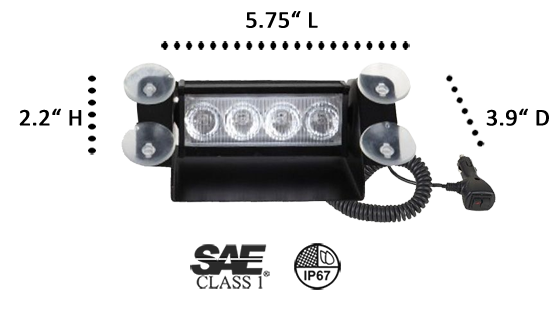 The flashback shield is adjustable or removable making the ‘4’ a very functional light with multiple placement positions and even higher visibility! 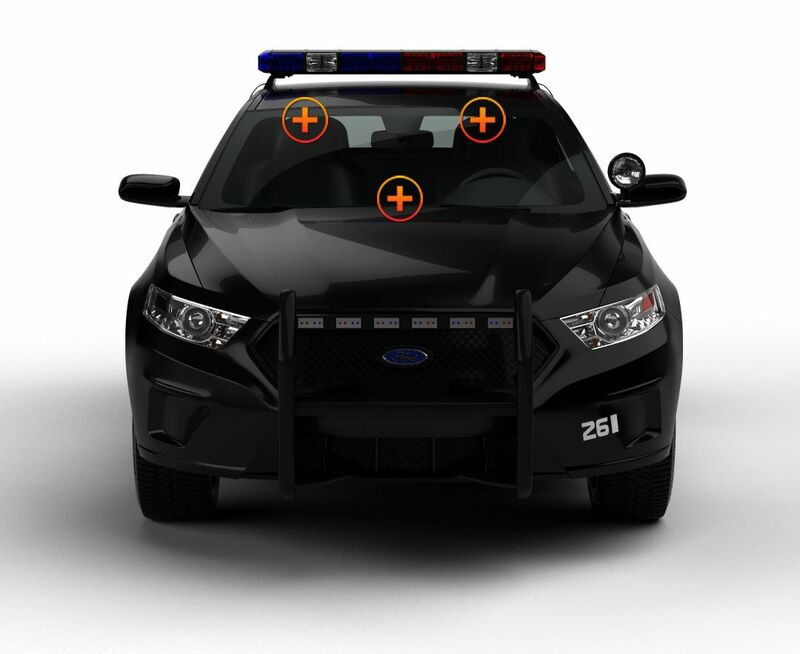 4 Generation IV Class 1 LEDs produce 12 watts of piercing bright light make it perfect for police vehicles. The TIR lens is made of dependable polycarbonate material which is as clear as glass, won’t yellow, and stays bright in almost all weather conditions. The high-grade aluminum housing is durable and impact resistant. The Enforcer 4 has 26 flash patterns providing a wide, wide range of strobing choices for every situation; it has pattern memory, too, so it will pick up right where you left off when you turn it back on! It has 4 solid and 7 split-color combinations to choose from. The ON/OFF switch and Flash Pattern switches are located on the cigarette lighter power plug in; it has a 9’ expandable cord for easy placement. 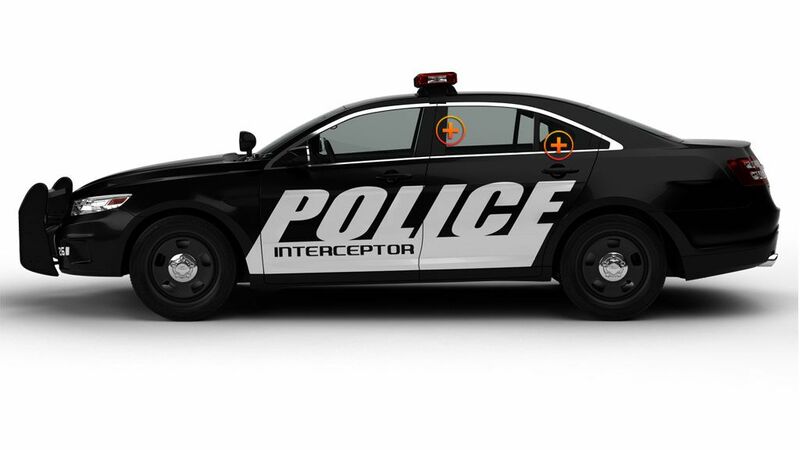 The Enforcer 4 can be put high or low on the windshield or back window; it can even be stuck to side windows if that’s what you need! First Responders will almost always buy a Dash and Deck Light when they are looking for their FIRST emergency light, and Extreme Tactical Dynamics has just what they need. We have a large selection of various sizes and wattages, and we always have the lowest prices around. If you’re not quite sure what you want or how a light would look, then check out our Customer Video Section in Knowledgebase of our ETD website. You will get a really good idea of how Our Lights will look On Your Vehicle! This is a powerful little light. It is not made out of plastic which is good it is strong aluminum that has held up very well for me. This light is small in size but is certainly bright. Very happy with this. This light is small and is a power house. I have two of them in my SUV in the back side windows.